If you're looking for the cleanest, purest, most luxurious Organic Mattress out there, look no further than OMI Organicpedic. They were founded by Walter Bader, author of the book 'Sleep Safe in a Toxic World,' following an incident where he became sensitive to environmental chemicals and toxins. He pledged to create a truly no-compromise Organic mattress, using not only the finest natural materials the world has to offer, but also to carefully manage the whole manufacturing process to ensure no contamination. Today this pledge continues in the form of the OMI Organicpedic Purity Guarantee, stating that if you can find a bed that's cleaner, healthier and more pure, he'll give you your mattress for free. In addition to the Purity Guarantee, he also recognized the importance of comfort and quality, and continues to innovate through design and materials to create the ultimate in organic luxury. In short, these are perhaps the most comfortable beds you'll ever sleep on. And guaranteed to be the safest! 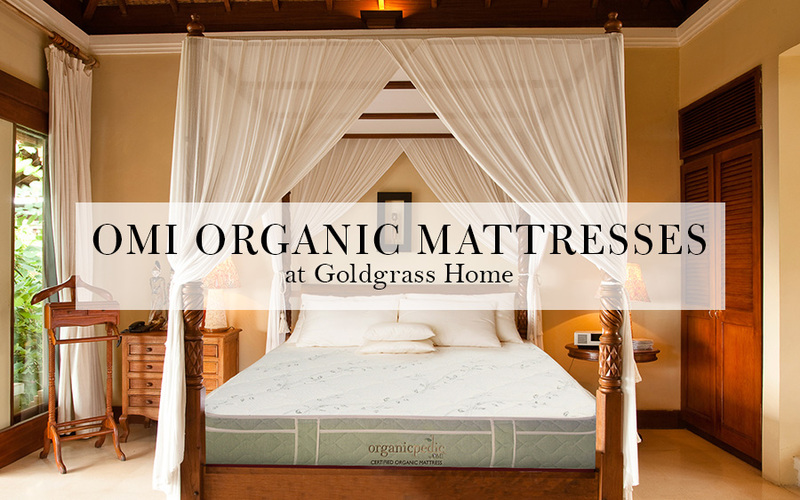 Visit the Organic Mattress Shop at Goldgrass Home and try yours today!